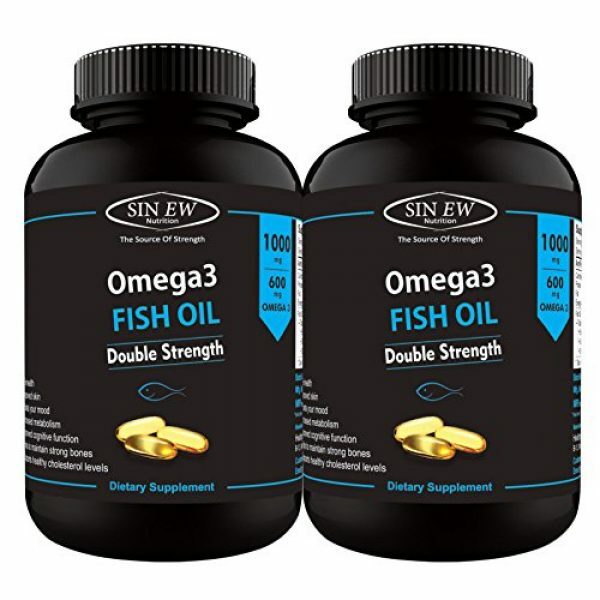 Full of Quality Fatty Acid: 1000 mg Fish Oil with 600 mg Omega-3 Fatty Acids (200 mg DHA, 300 mg EPA, 100 mg Other Omega 3 fatty acids) per serving (2 Soft-gels). Omega 3 is considered one of the most important supplements. Sinew Nutrition Omega 3 Fish Oil uses only the purest & filtered fish oil to supply the key omega-3 fatty acids in fish oil. 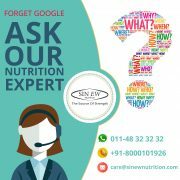 Omega-3 fatty acids are considered “good” fats important for cellular, heart and metabolic health and help maintain triglyceride levels already within a normal range. 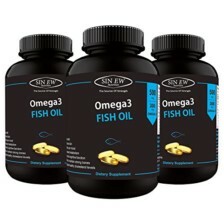 Sinew 100% Fish Oil soft gels give your body the EPA and DHA it needs to be at its very best. Fish oil supplementation helps to reduce waist circumference. & also reduce weight when take with proper diet. 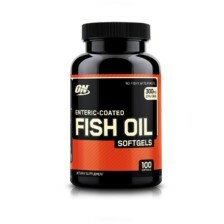 Fish oil supplement helps to maintain healthy skin. 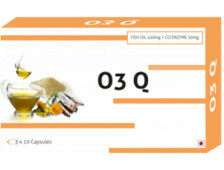 Fish oil supplement is rich in omega 3 fatty acid which can improve the symptoms of certain psychiatric disorders. 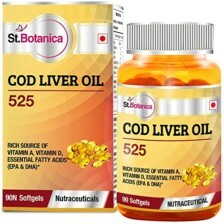 Fish oil supplementation helps to reduce fat in the liver and symptoms of non-alcoholic fatty liver disease. 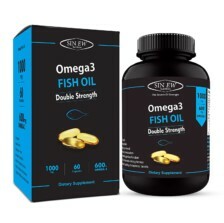 Fish oil has strong anti-inflammatory effects which reduce symptoms of rheumatoid arthritis. A higher omega-3 intake is associated with higher bone density, which helps to prevent bone disease. 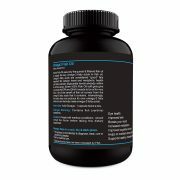 How to Use: Adult Dosage – 2 soft-gels twice a day. 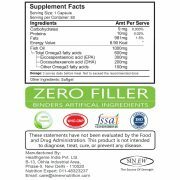 Allergen Warning: Contains fish (sardine) ingredients. 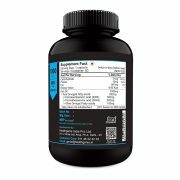 Cautions: People with medical conditions should consult the doctor before taking this dietary supplement. * Not for medicinal use. *Allergen warning. * Statement/claims have not been evaluated by FDA. 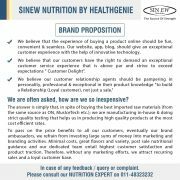 Wonderful product , no smell no burp and at this price it is simply amazing.